In addition to a stroller and crib, a child's car seat is typically one of the biggest upfront purchases that you will need to make when you have a child. Of course, the law on requiring a car seat is clear and differs between states, but all states require a child to be properly restrained when they’re traveling in a moving vehicle. Legal matters aside, you would be misguided to travel with a young child who is not secured in a seat. In the event of a crash or even minor knocks and bumps, it's essential that your child is sufficiently protected, as seatbelts are not designed for children. Below, we’re going to look at a car seat called the USA Advocate from the trusted and well-known brand Britax. It’s at the upper end of the budget range, but its price is justified by the product’s specification and the level of protection granted to your children, which is one of the most important considerations for your child’s car seat. Who is this Car Seat For? The USA Advocate model is one of the safest and feature-rich car seats within the Britax product range, with the ClickTight locking system having been added to this model over previous iterations; this has made installation of the product easier than ever. It has also gone on to become a key selling feature of Britax's other car seat models, particularly in the more complex convertible type of car seats that more difficult to get to grips with in the first place. 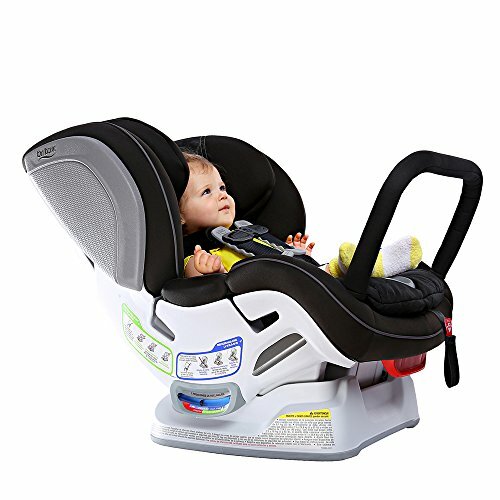 This seat functions as both a rear-facing model for young babies and infants, as well as a forward-facing car seat for toddlers and older kids, with a functional range of 5 to 60 lbs. Where this model excels is in the provision of numerous safety features that go a long way towards offering your child the ultimate in protection in the event that you’re involved in an accident. This range of safety features include SafeCell Impact Protection, as well as 3 separate layers of side-impact protection, minimizing the risk of even minor bumps and vibrations from the road transferring through into your child. The Britax Advocate isn’t for the type of parent who’s looking to get away with paying a smaller price for a car seat, as the features we’ve outlined below do come at a premium. You’ll also find that convertible car seats are more expensive than the non-convertible types, so if you’re on a budget and would prefer to pay smaller increments each time your child grows out of their current seat, then the Britax may not be suitable. However, the seat is ideal for a small, single-child family who only need a single car seat that will grow with the child, and not have another kid coming along needing a hand-me-down car seat. As the Britax Advocate can be used throughout multiple weight and age growth periods, there’s no need to replace it routinely. It’s also worth point out that the Advocate has an easily transferable base, so it’s the perfect pick for people who will be ferrying their kids around in more than one vehicle, and transferring the car seat between them. This isn’t always the case with other car seats that use a heavy base. Out of the box, the car seat itself comes pre-attached to its steel frame and fully assembled, which lends itself to the straightforward installation process. Once you’ve got it into the car, it’s simply a process of introducing the 14-position harnesses and working out the required fit for your child’s size. 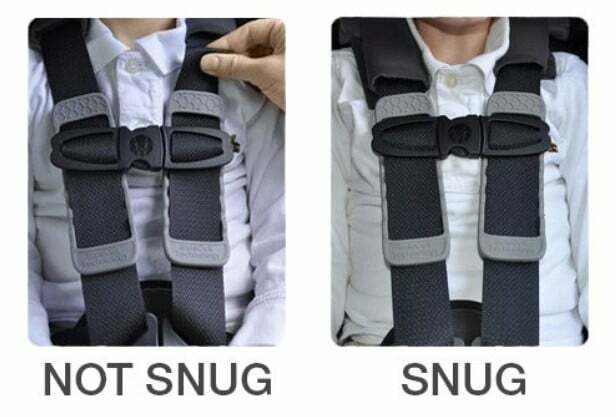 Also included in the package you have machine-washable covers for both the harnesses and the car seat itself, so removing food and drinks spillages is straightforward. This is a highly-useful feature for a product that is intended to last for years. 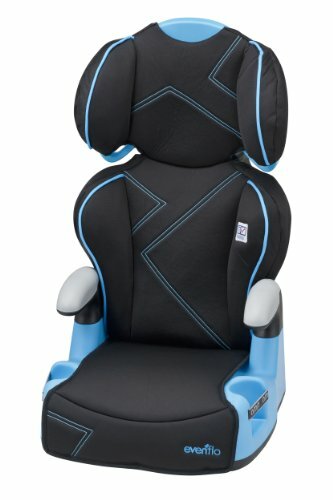 When you’re choosing a car seat, there are several important features to consider above all others, including the amount of padding and protection offered to the occupant, the degree of flexibility in the restraints or harnesses, and how easily the product can be installed, detached or adjusted. The Britax advocate checks all these boxes, with class-leading protection and a great deal of flexibility around both the harnesses and the transferable base unit. 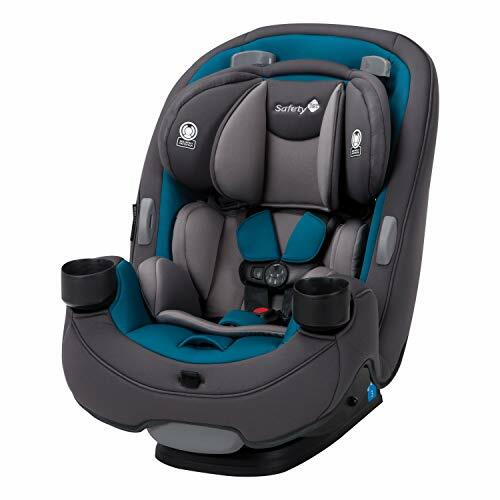 Available in a range of 5 different colors, as well as 2 sizes, the Advocate is a convertible seat that can function as both a rear-facing car seat, supporting children of 5-40 lbs. in weight, or as a forward-facing seat for kids weighing in at around 20-65 lbs. The design of the frame, base and tethers uses a patented system called 'SafeCell Impact Protection', which slows down and reduces forward momentum if your vehicle is involved in a traffic accident. And it's not just the seat itself that attaches into place with relative ease. The seat features a Click & Safe Snug Harness Indicator, which features visual and audio cues that indicate when your child's harness is properly secured in place, for the avoidance of any doubt. When your child is young and vulnerable, small bumps and jolts in the road can feel much bigger to them than they do to you; that's why it's so important to have the proper protection in place on your car seat. The Britax Advocate has 3 layers of deep, shock-absorbing, foam-lined padding to support the head and body. This is supplemented by an impact-absorbing steel frame that stops vibrations and bumps from transferring through into your child's body. Though many car seats use impact-absorbing fabrics in their designs, not all seats extend this functionality to the seats’ frame and base. 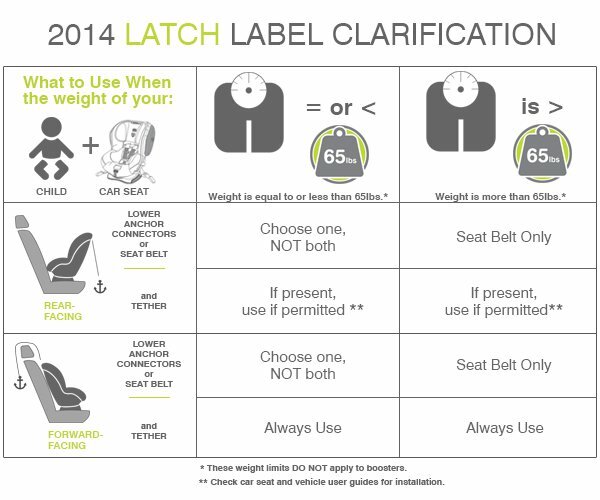 Installing a child's car seat for the first time always involves a learning curve, but things are simplified with this product thanks to a patented ClickTight system, which makes the process as simple as buckling a belt in place. It’s equally as simple to detach the seat again if you’re ferrying a child around in more than one vehicle. What’s more, the harnesses, despite their various adjustments and settings, are also relatively simple to understand and adjust on the fly. The installation process differs for the forward- and rear-facing alignments, so it’s worth paying close attention to the included user’s manual. 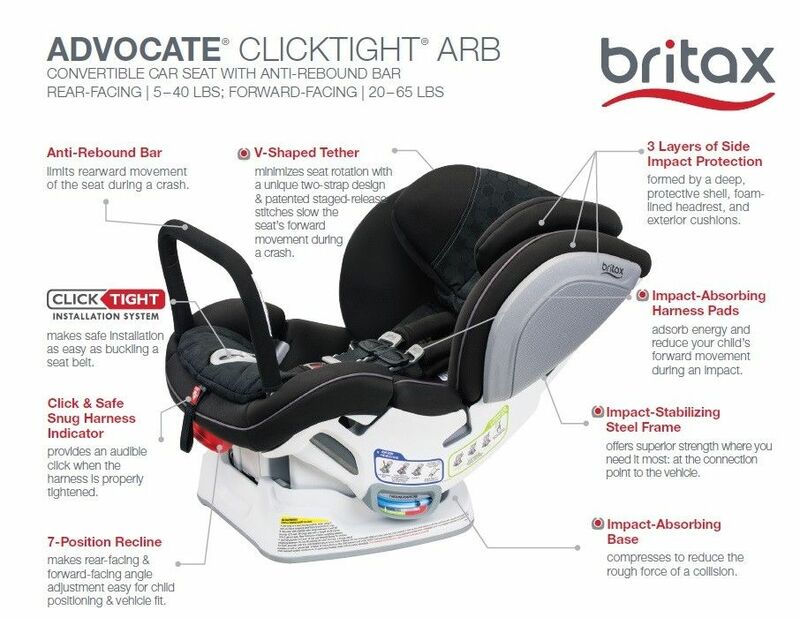 With the restraints included in the Britax Advocate, there's never any need for rethreading after the initial setup. The quick-adjust harnesses have a 14-point system for maximum flexibility, and in addition have something called the 'Click & Safe Snug Indicator,' which produces an audible click when the harness is tightly secured. This removes any doubt as to whether you have safely and securely fastened your child into the car seat before setting off on a journey. They’re also protected against food and liquid spills by a washable harness cover. 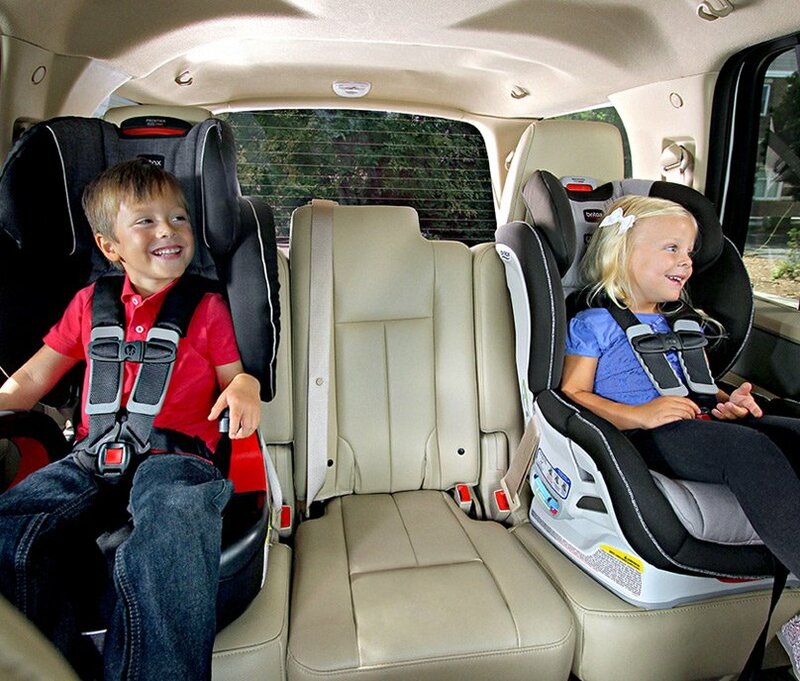 With some car seats, the protection offered stops at the fabrics surrounding your child. The Britax Advocate on the other hand is different; in addition to 3 layers of energy-absorbing foam fabrics, the seat is mounted onto a steel frame. Not only is steel one of the most durable materials available for a frame, reducing the chance of defects or deformation, but it is also designed to be shock-absorbing, minimizing the vibrations transferred through into the seat by speed bumps, potholes and so on. It's essential to ensure that your vehicle can support the size and weight of this car seat, particularly given that the seat is one of the heaviest on the market. The seat itself weighs in at 30 pounds, with the base of the seat being around 15-inches wide. In total, the car seat is 31-inches from base to top. 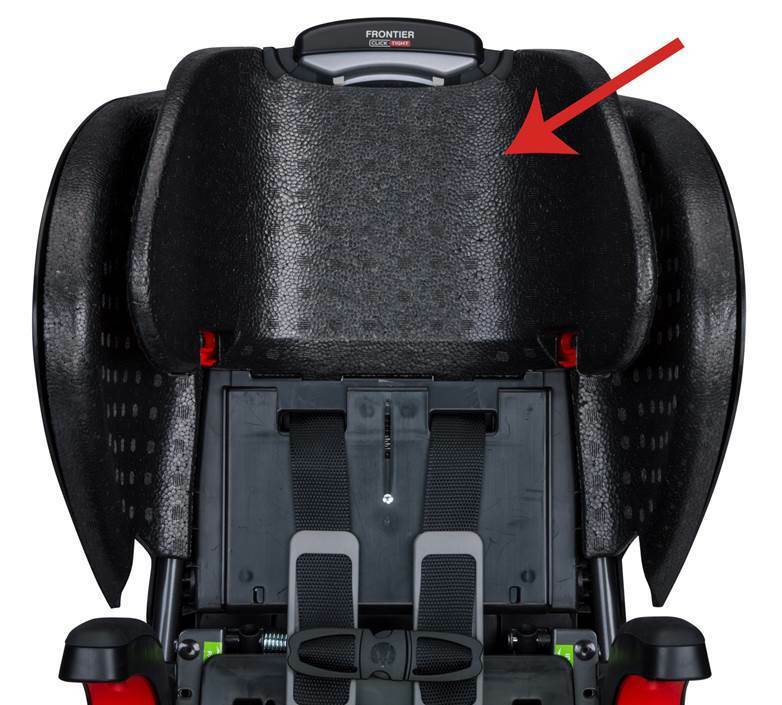 Installation of the Britax Advocate car seat is straightforward right out of the box, despite the car seat being one of the heaviest products of its kind on the market due to its steel frame. 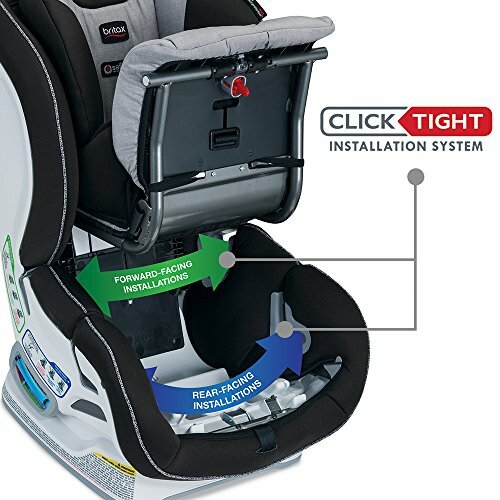 The ClickTight and Latch system ensures that the seat is simple to put together and secure in place, with a full breakdown of instructions for first-time setup and adjustments. Rear-facing installation is the first possible configuration for the Advocate seat. You open the ClickTight by pressing in the dimple on the dial and rotating it clockwise until the latch releases and opens. Next, recline the seat without your child occupying it and place it in the rear-facing position of your vehicle. Slide the vehicle's seatbelt through the rear-facing belt slots, ensuring that it's not twisted, and remove any slack. Finally, close off the ClickTight buckle again, ensuring that it clicks into place. The above process is called the ‘Lap-Shoulder Belt Installation’ method, though there are other means of installation. For more information, the product description is highly useful. Forward-facing installation is much the same as the above process, with the exception that the child seat be placed facing the front cabin of the vehicle. The ClickTight dial is opened and secured in the same manner, and the vehicle seatbelt is fed through the same rungs as in the above case. 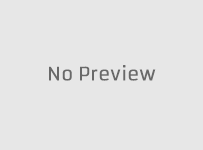 Again, you can refer to the product instructions and installation guidance for help, as the process for achieving the various setup options is complex. 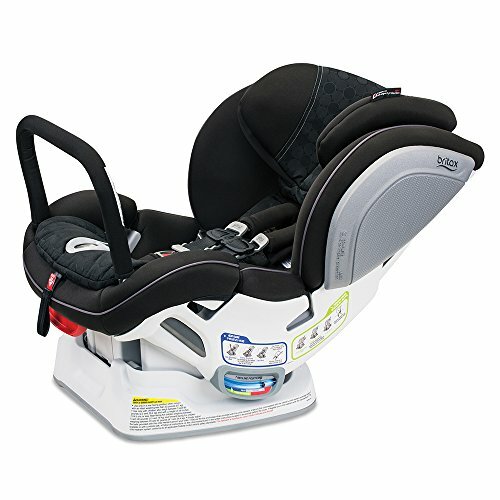 When it comes to potential alternatives, the Safety 1st Grow N Go seat is also a convertible seat, which features a little more flexibility in terms of supporting kids of various weights. It also has the same streamlined design that allows for extra front-passenger legroom, and even comes at a lower price from many outlets when compared to the Britax Advocate. However, the installation and general restraint handling process is fiddlier. This is in part due to the fact that whilst the Advocate has a transferrable base, the Safety 1st model is less compatible. Thus, if you’re going to be using more than one vehicle, you might not want the Grow N Go. 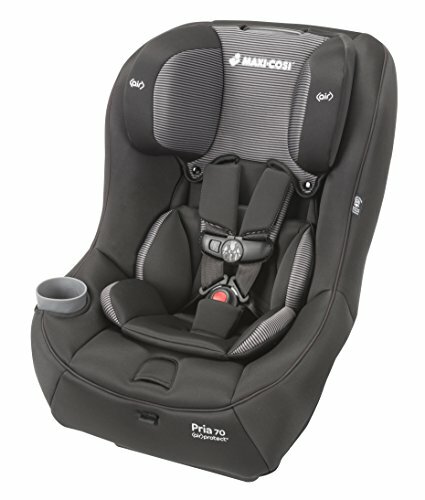 A second alternative to the Britax Advocate is the Pria 70 car seat from brand Maxi-Cosi, which comes with the same convertible-type benefits as both the Advocate and the Grow N Go, though like the Advocate, the positioning is slightly more restrictive than the Grow N Go model. The fabrics that make up this alternative are designed to be self-deodorizing so that the various smells a child can produce won’t stick to your car seat. This includes food and drinks spillages, with the fabric also drawing moisture away from your child, keeping them dry and cozy. In considering a convertible car seat that’s suitable for a single child’s in-vehicle support needs, we should also consider another alternative. At the lower end of the budget range and suitable for children of 40 pounds in weight or greater is the Evenflo AMP High Back Car Seat. Though it can’t be used for young babies like the Grow N Go or Advocate seats, which can go as low as 5 pounds, it’s a very inexpensive option that can support children from 40-110lbs. Overall, the Britax Advocate convertible car seat is a feature-stuffed car seat that offers some of the most advanced safety design considerations available on the market. It has everything that a parent should desire to keep their child safe on the road, whilst simultaneously being easy to install. What's more, the brand estimates a usable life of around 10 years for the car seat, so it shouldn't wear out before you're done with it. There are alternative convertible-type car seats available as we’ve outlined above, so it’s worth shopping around before firmly deciding on which car seat to purchase.